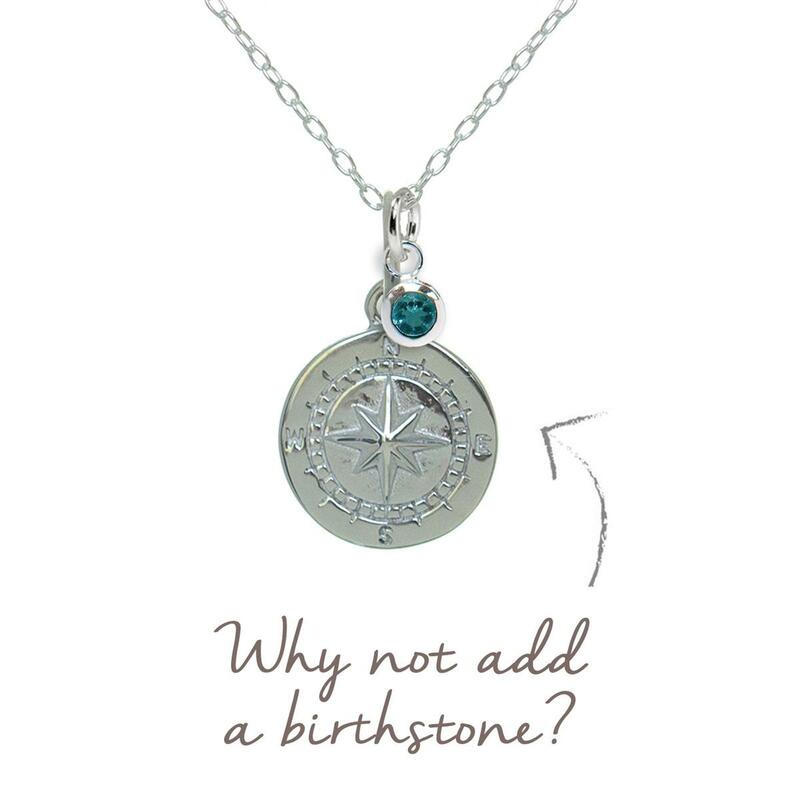 This is our NEW design of Compass, as it is such a popular mantra. We have made it into a disc which is blank on the reverse, which can be engraved with names, dates, or a short phrase. 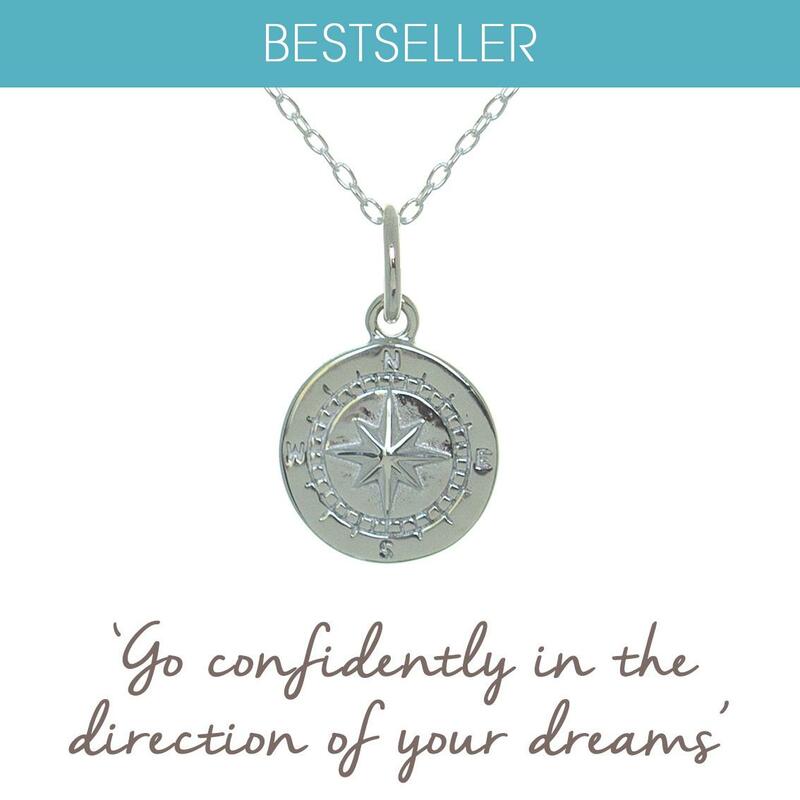 The compass is the sailor's most prized possession: it leads you to discover new possibilities and then safely guides you home. 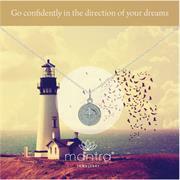 Wear this Mantra to remind you to head confidently in the direction of your dreams. 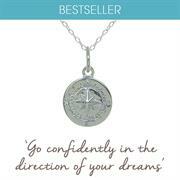 The perfect gift for someone embarking on an exciting adventure, or setting out in a new direction in life. 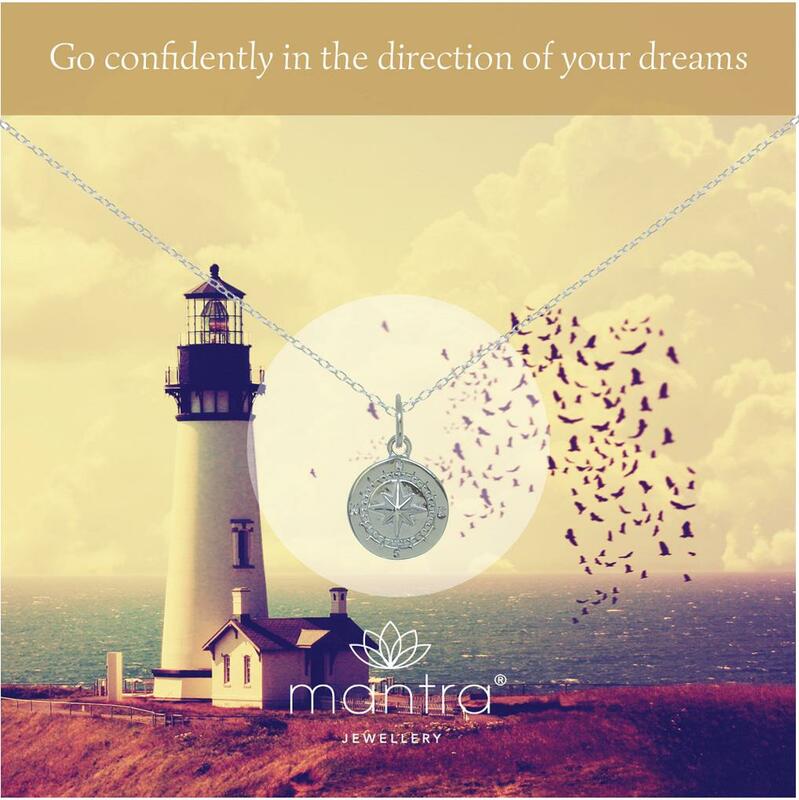 This beautiful necklace from the Mantra collection is made from 925 Sterling Silver and hangs on a silver adjustable chain. The pendant is blank on the reverse and can be personalised. Presented on a beautiful card to keep, with an inspiring image on the front, and space on the back for your personal message. The perfect gift for someone that’s about to travel or move on to pastures new or wear yourself to remind you to follow your dreams.